« MacVector 12.5: Sequence Assembly made easy. Our latest version, MacVector 12.5, will be released on the 1st of December, 2011. There’s some great new features in this release with the addition of extra alignment algorithms, Muscle and T-coffee, to the Multiple Sequence Alignment analysis interface, as well as many interface enhancements and performance improvements. However, the most important new feature in MacVector 12.5 is the addition of Bowtie to MacVector’s sequence assembly module, Assembler to create reference assemblies with your NGS data. 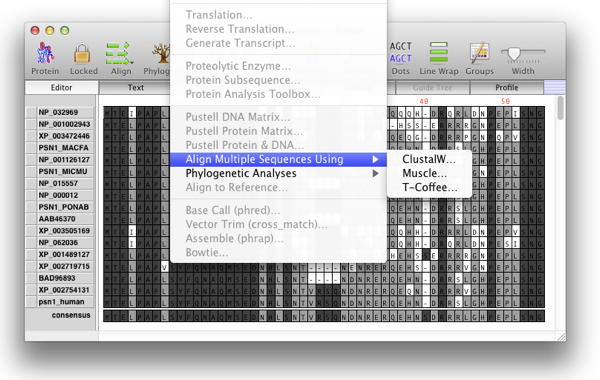 Additionally, the Contig Editor has been enhanced with some useful features to visualise your genome sized alignments. With these improvements, our developers have come up with an affordable and straightforward solution to assembling your NGS data. Generating sequencing data is cheaper than it has ever been, however, analyzing it is not. Instead of sending your millions of reads away to be assembled at great expense, or spending time on the computer trying to assemble your reads, Assembler will now create reference assemblies with just a few mouse clicks. To mark the release of MacVector 12.5 and this great new functionality in Assembler we’re offering users an opportunity to add Assembler to your MacVector license for half price. Not only that but if you have an older license of MacVector and want to upgrade your license then you’ll still be able to add Assembler at half price. If you do not have MacVector and want this great new functionality then you’ll still be able to add Assembler to a new license for half price. If you take advantage of this offer, you will not only get a great price on Assembler, but you will get MacVector 12.5 and a free upgrade to MacVector 12.6 a few months after. 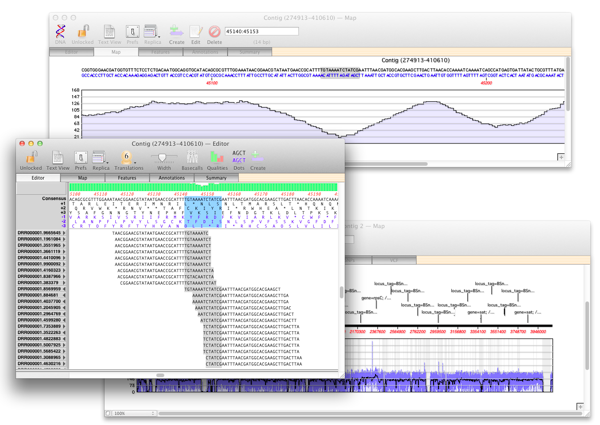 MacVector 12.6 will include even more NGS support as well as a Quick-test function to easily analyze your existing primer sequences, and more. Plus, your license will include a year’s maintenance which will not start until MacVector 12.5 is officially released on the 1st December, 2011. ..and remember both MacVector 12.0.6 and MacVector 12.5 are fully supported on OS X Lion. This entry was posted in Releases and tagged assembler, bowtie, NGS, offers. Bookmark the permalink. Both comments and trackbacks are currently closed.